Ollie trained, qualified and practised for a number of years at a City firm with a leading sports practice, after which he followed his passion for motorsport by moving to Brawn GP at the beginning of 2010 shortly before its change of name to Mercedes. Since then Ollie has built upon the foundations of experience he developed in private practice (having acted for sportspeople, teams, clubs, governing bodies, venues, PR agencies and sports equipment brands) to go on to work with some of the greatest names in F1 including Michael Schumacher, Ross Brawn and, more recently, Lewis Hamilton. 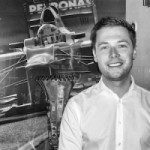 Ollie's love for all sports (including those outside motor-racing) continues to grow and, in 2011, he completed the DMU Post-Graduate Diploma (Distinction) in Sports Law whilst continuing to work in-house at the Mercedes AMG Petronas Formula One Team.